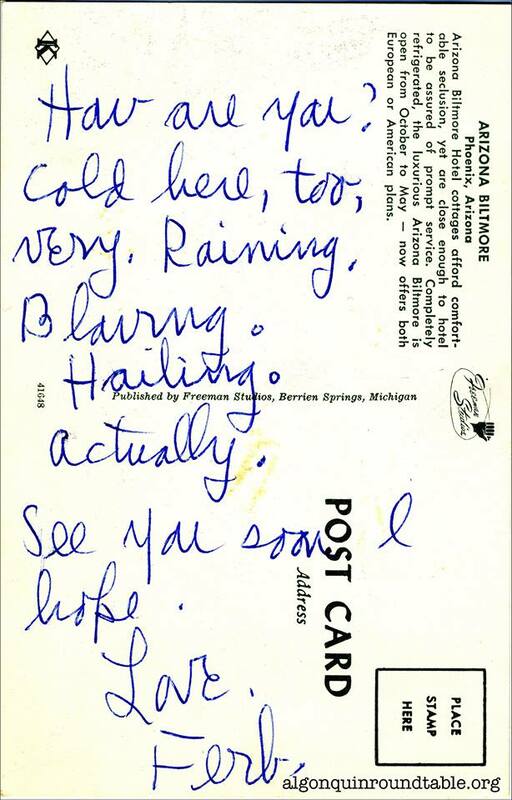 Postcard from Edna Ferber to Margaret Leech, early 1960s. Lifelong friends and fellow writers who met at the Algonquin Round Table. Sent from the Arizona Biltmore, a Waldorf Astoria resort.